His challenge could hardly have been more timely: My long-distance mentor this semester in the Fairfield MFA program, Alan Davis, has been counseling that my novel-in-progress, Love’s Hurricanes, starts too slowly; that its early arc is more like a flat line. He has suggested I develop a two-page outline of what my book is about – what the tensions are – and then go back to some of this semester’s readings to examine how others have gotten their stories off the ground and moving, piquing readers’ interest to see how their foreshadowed tensions develop. I think that’s what at least the front end of “narrative arc” is all about. (I assume the back end is a tidily satisfying denouement.) The front end is not unfamiliar: In almost 4 decades’ journalism, I learned, and taught others, to make a newspaper story’s lede – the lead paragraph – a hook (we actually sometimes used the literary-sounding “narrative hook,” but more often “news hook”) to make readers want more. Although it’s a learned skill, forging the first 50 words of a 750- to 1,000-word newspaper story into a catchy hook is not hard. The comparable opening stanza of a novel will be the first 6,000 or so words – about 20 pages, in most printings – and must draw the reader into a more complex story. Like long-line commercial fishing: a string of baited, multi-barbed hooks, each barb honed to a fine point. I accepted Grogan’s challenge by adding Simon’s Beautiful Girl to my reading list. It easily lives up to his billing. It opens, on a night “that would change everything,” with a still-to-be-named widow watching as a still-to-be-explained young woman is marched down the front drive and shoved into an unexplained sedan. That’s the first 32 words. Simon hints that “a sleeping stranger,” a baby, has been left behind, then gives us the backstory setting of the widow’s farm home, of her late husband, finally coming back to a torrential rainstorm and knocking at the door. Simon lets that intrusion linger in our minds while she finishes the setting, then lets the widow answer the door. I still haven’t the slightest clue what’s going on, but want to find out. Soaking wet on her doorstep are a black man and a pale young woman. Frightened, she thinks of running upstairs to get her husband’s rifle, but decides to let them in and help them. She perceives that the man is deaf. She has them strip, finds them dry clothing; pokes up the fire, sits them down, goes to the kitchen to find them some food, leaving the man signing and the woman grunting in response. She is sure they are running from something, but can’t imagine what. Several pages further on, she realizes there is a new-born baby, which reminds me of her own single stillborn baby who was “born defective.” She thinks of calling the police, but instead continues to help them hide. I am somewhere near page 20 (I’m reading on a Kindle, with no page function) when the men from the state School for the Incurable and Feebleminded arrive. They address the widow, so we learn her name. We still have little idea what’s going on, but this narrative arc is well off the ground. I’m hooked – wishing I had a story that might begin so obliquely and arrestingly, thinking of ways I might apply some of these lessons. Let’s turn next to Jennifer Egan’s new Pulitzer Prize-winning A Visit from the Goon Squad. Her first 20 pages are also grabbers: We meet Sasha, a recovering kleptomaniac, and her former boss Bennie, a publisher of records in the dystopian world of rock, who sprinkles gold flakes in his coffee as an aphrodisiac. Both are crazy enough to make me want to see what Egan will do with those interesting characters – and to read more of her arresting, exhilarating prose. Unlike Simon’s, though, Egan’s hook is more style than substance. The first chapter (from Sasha’s perspective) bears only faint relationship to the second, (from Bennie’s point of view, set five years earlier) and even less to what follows the magic 20 pages (set 20 years earlier still, from the POV of a girl whose name we hardly remember from chapter two). The book is in fact a series of 13 short stories – 8 of them previously published – strung together into a maybe-novel, jumping from backstory to laterstory, each fleshing out characters who may been only names in earlier chapters. Janet Maslin, reviewing for the New York Times, calls it “spiky, shape-shifting,” and so it is. Those first 20 pages get the story (or stories) moving, but are hardly a model. All right, let’s try Ian McEwan’s Saturday. It begins incredibly slowly: His protagonist, Henry Perowne, wakens before dawn, with a faint premonition that something will go wrong this day. We learn in the first 20 pages that he’s a brain surgeon (reminiscing at extraordinary length about patients and operations) who loves his wife and children. Standing at the pre-dawn window, he watches an airplane with one engine aflame heading into Heathrow Airport and imagines the panic of passengers. By page 30 we’ve met his adult son and learned that there is a massive protest against the Iraq War in London today – but neither the demonstration nor the airplane are convincing narrative hooks. It is not until page 81, utterly unforeshadowed, that Henry’s expensive car is sideswiped by a truculent driver. Only then is the story finally jolted into an arc that demands attention; we’ve kept reading until then only because Henry Perowne seems an interesting man and the elaborate setting is very well written. So Saturday isn’t much of a model, either. I’m hooked, and even though and even though I’m more than most Americans familiar with the history of Japan’s brutal role in Korea, this family’s travails, and her daughter-narrator’s growing-up years, are unpredictable enough to make me want to keep reading: the arc is airborne. A different kind of story: “Come into my cell. Make yourself at home. Take the chair: I’ll sit on the cot,” says the protagonist/sole narrator of Walker Percy’s Lancelot. It is quickly apparent he’s in a mental institution, reciting his story to a priest-confessor who never speaks. “Then you know my story? . . . I think of it in terms of headlines: BELLE ISLE BURNS. BODIES OF FILM STARS CHARRED BEYOND RECOGNITION. SCION OF OLD FAMILY CRAZED BY GRIEF AND RAGE.” That’s on page 13; by the magic 20 the backstory (the novel is all backstory) is well under way. One more: Trond, the protagonist and first-person narrator of Per Petterson’s Out Stealing Horses, begins with slow, deliberate scene-setting: He is 67, recently returned to the rural Norway of his childhood, living alone in a house that needs repair, enjoying the silence of the forest and the shortened days as winter approaches. Memories of his youth begin with an ominous moment when he shot and killed a deer-harassing dog, but we are up to page 19 when his older friend Jon invites him to go steal a neighbor’s horses. That eponymous moment is largely self-contained, though; most of the tensions of his adolescence, of his father’s role in World War II and affair with a neighbor’s wife, an accidental death, the timbering, lie far ahead, hardly foreshadowed. I’m not reading because I anticipate those events; they just happen. What have I learned? That I’m not a prize-winning, beloved author like Egan, McEwan and Petterson, whose fans will keep reading until the shape and direction of a novel – the narrative arc – emerges. I’d best follow the example of those who hook the reader in the early pages, laying out and foreshadowing the elements of the story that readers will eagerly await. In 20 pages? A demanding hurdle, but let’s give it a try. Back to my novel. Don Noel is retired from almost 4 decades as a journalist in Hartford, Conn. 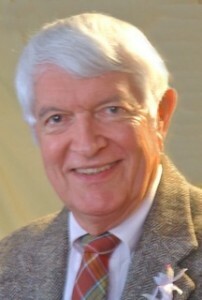 He joined the evening Hartford Times in 1958, and was named editorial page editor in 1969 and editor in chief in 1974. He left The Times in a policy dispute with a new owner in 1975, and spent the next decade as senior correspondent for WFSB-TV3. In late 1984 he joined the Hartford Courant as op-ed political columnist, retiring in 1997. He took his B.A. from Cornell in 1954. A Quaker pacifist, he spent the next 2 years with his wife Elizabeth “Brad” Noel with the American Friends Service Committee in Japan, followed by a year’s travel home through Asia and Europe, with extended stays in India and Germany. In 1966-67, an Alicia Patterson Fellowship allowed him a year’s study of regional politics in Southeast Asia and Eastern Europe, based with his family in Phnom Penh and then Bucharest. He has won a number of other journalistic prizes. Since retirement, Noel has served on the board of the American Civil Liberties Union of Connecticut, as its chair from 2005 to 2009. He had earlier served on a number community organizations. He published his Jamaican memoir, Near A Far Sea, in 2006. Really liked your essay. Easy-going, natural style, completely non-academic. Sounds like the work of a good, solid journalist! After I finished reading it, I had to quickly scan the first twenty pages of my novel to see what I had going. I think it falls somewhere between the two poles you talk about, which maybe isn’t so bad. And good luck with your novel, too!